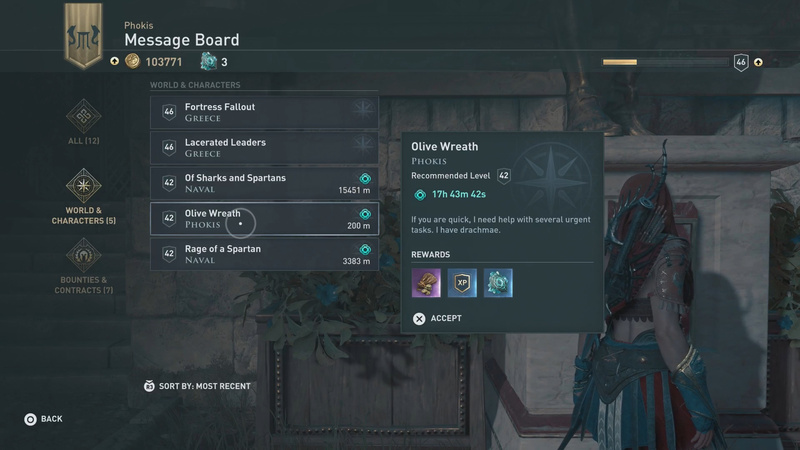 In Assassin’s Creed Odyssey there is a special vendor names Oikos. Oikos carries Epic and Legendary items which you can buy using Orichalcum. Orichaclcum is considered a secondary currency, and acquiring it can be a little confusing. 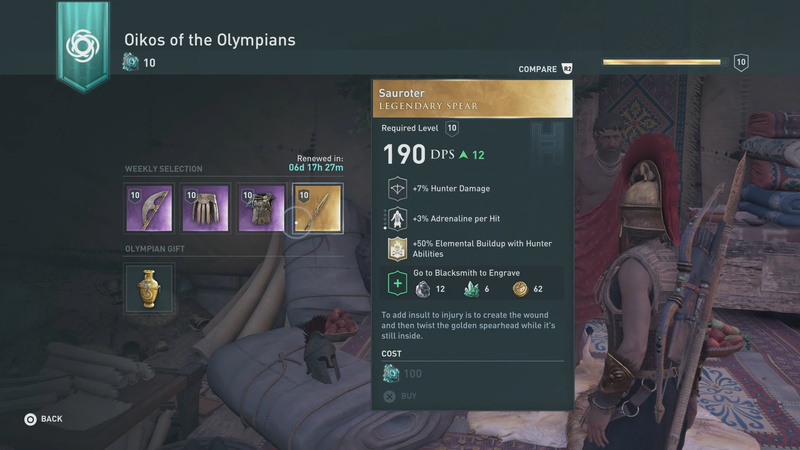 To help, here’s how to get Orichaclcum Ore in Assassin’s Creed Odyssey. Make your way to the nearest Message Board to access Daily and Weekly quests. 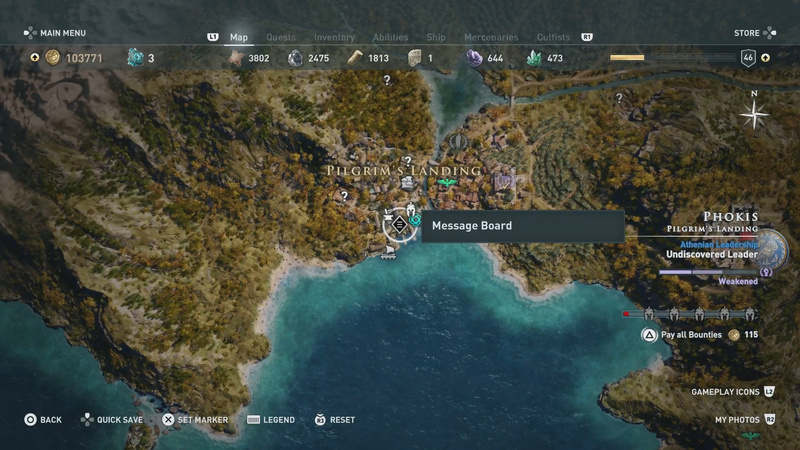 Daily and Weekly quests can be accessed at the Message Board in towns. Daily: You have 24 hours to complete the quest before it expires. Weekly: You have 1 week to complete the quest before it expires. Typically harder to complete. The harder the quest, the longer amount of time it will take you to complete. The same goes for how much Orichaclcum you receive for completion of a quest (harder = more). Completing daily and weekly Orichalcum quests are both good ways of earning the special currency, but they aren’t the only way. If you buy a map from Ubisoft, you will see the locations of every Orichalcum Fragment. All around Greece you will find these hidden Orichalcum Fragments. As you travel through Greece you may have stumbled across an Orichalcum Fragment. 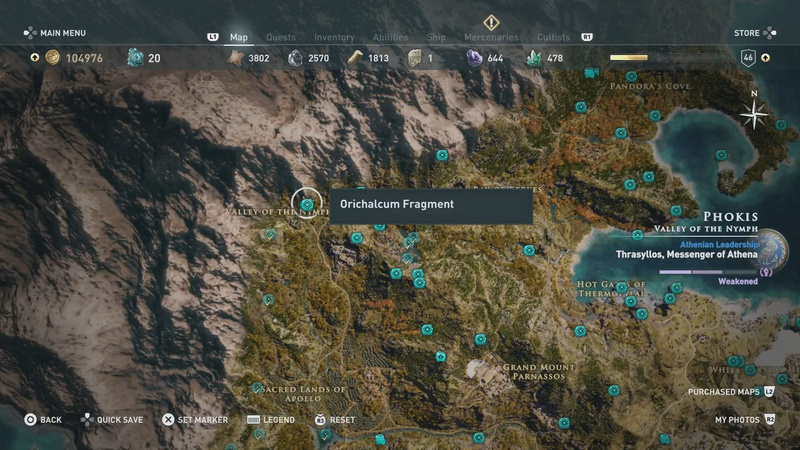 This material is basically one Orichaclum Ore. Ubisoft has hidden a ton of Orichalcum Fragments throughout Greece for you to find as you explore the game world. Unfortunately, most of the locations are incredibly obscure and easily missable. That’s why the developers sell a map showing you where to find every single Orichalcum Fragment in the game (we’ve got the map right here). Anyways, when you find a Orichalcum Fragment in the world, you can grab it to add +1 to your total. What Can You Spend Orichalcum Ore On? Realistically, your best approach to Oikos is buying the Olympian Gifts unless he is selling a particular item you really, really want. Good luck! 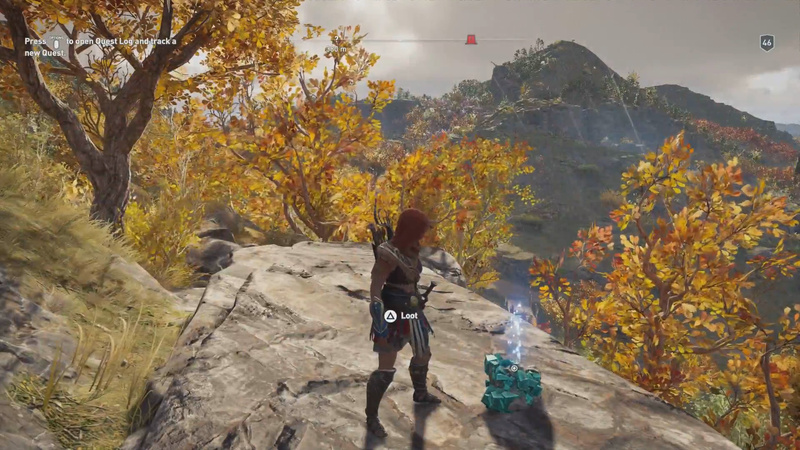 Did I show you how to get Orichalcum Ore in Assassin’s Creed Odyssey? Let me know in The Pit below. Do you like the addition of Orichalcum Ore as a currency? Will this system make you play the game longer?